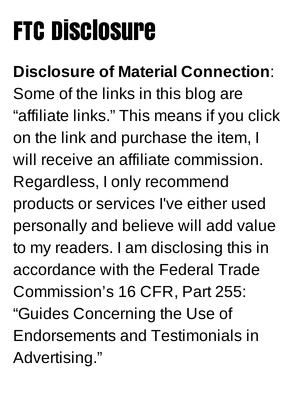 As per mandates from FEDERAL TRADE COMMISSION, 16 CFR Part 255 – Guides Concerning the Use of Endorsements and Testimonials in Advertising, the purpose of this document is to establish any compensatory affiliation with Clickbank and C Mellie Smith. Every effort has been made to accurately represent the various products and their potential. Your Results May Vary from ours and those of anyone else who is, or will be using these products, techniques, and/or services . All materials on this site are © copyrighted by C Mellie Smith. No part of this may be copied, or changed in any format, sold, or used in any way, online or offline, other than what is outlined within this site, under any circumstances without express permission from C Mellie Smith.